Hello my name is Jean Garderner near Saint Tropez and Father of two beautiful Daughters. I 45 now and i great passion for Supergirl, Wonder Woman and Women with Superstrenght. But i love study Esoterism, UFO, History, Architectures, and numerous other things. I'm great fan of Star Wars to and Jules Verne Novels. baron de rocquemort wrote: Hello my name is Jean Garderner near Saint Tropez and Father of two beautiful Daughters. 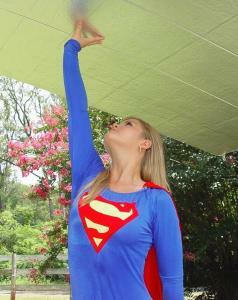 I 45 now and i great passion for Supergirl, Wonder Woman and Women with Superstrenght. But i love study Esoterism, UFO, History, Architectures, and numerous other things. I'm great fan of Star Wars to and Jules Verne Novels. Kara and Kryptonians Girls or Amazones is my fav hahaha! baron de rocquemort wrote: Hello my name is Jean Garderner near Saint Tropez and Father of two beautiful Daughters. I 45 now and i great passion for Supergirl, Wonder Woman and Women with Superstrenght. Thank you Dru.. I imagine is for Dru Zod? I like your avatar. Les Visiteurs is one of my favorite comedies, and Jean Reno was the best thing in the 1990's Godzilla. Oh thank you my friend. I love Jean Reno to a fantastic actor and in my imaginative fanfiction about Superman and the Illuminati he play the evil Baron Yves de Rochefort . Merci Raa i imagine is a tribute to She-Ra?